A new wellbeing subscription service has been launched with the aim of tackling one of the biggest issues facing education today – mental ill health. Dubbed ‘Netflix for wellbeing’, Brilliant Schools is a wellbeing club that enables schools to ‘subscribe to happiness’ by providing tools and resources to help boost the wellbeing of pupils, teachers and parents, all through a simple, not-for-profit subscription. The mental health crisis in our schools is well documented. UK teenagers rank next to bottom in international measures of wellbeing, while a recent report by the Children’s Society revealed that a shocking one-in-four 14-year-old girls admits to self-harming to cope with the pressures of modern life. Meanwhile, there is also a recruitment crisis, as more and more teachers leave the profession citing stress and pressures both inside and outside the classroom. 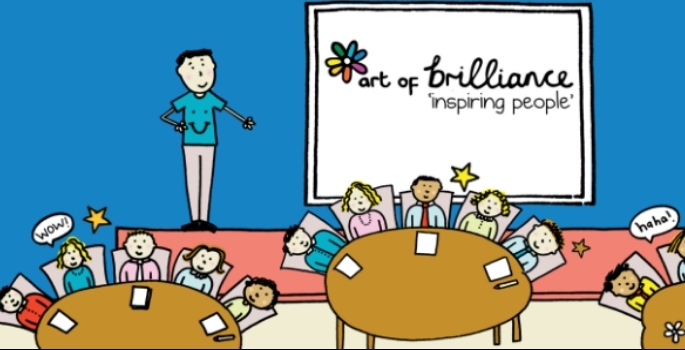 Brilliant Schools is a service created by two leading not-for-profit organisations, the National Learning Trust and Art of Brilliance, to address these problems. The service flips wellbeing on its head – rather than waiting for staff and pupils to break under the pressure, the service provides schools with the strategies, resources and knowledge they need to integrate happiness and wellbeing throughout the curriculum, and into the fabric and culture of the school. The Brilliant Schools programme is fun and engaging, backed up with the very latest in scientific thinking. It draws on positive psychology, mindfulness and cognitive behavioural therapy to help children, parents and staff develop growth mindsets and resilience. While some schools are subscribing to the service themselves, in others, parent groups have been raising funds to cover the costs and help make their schools a healthier, happier place. The service also aims to act as kind of dating service to bring together businesses and organisations to help them support and build closer relationships with local schools. Through a small investment of corporate social responsibility budget, say service providers, organisations can make a meaningful contribution to the future wellbeing of their children, community and even customers. Dr Andy Cope, Head of Art of Brilliance, who has spent 15 years researching positive psychology, says: “The world’s gone mad, but that doesn’t mean you have to. The present system of waiting for people to show signs of mental illness and then fixing them is, at best, an expensive and ineffective way of addressing the mental health crisis in our schools. We don’t want to fix young people after they are broken – we want to help them stay whole by giving them the tools to manage their mental health and equipping them to live happy lives.